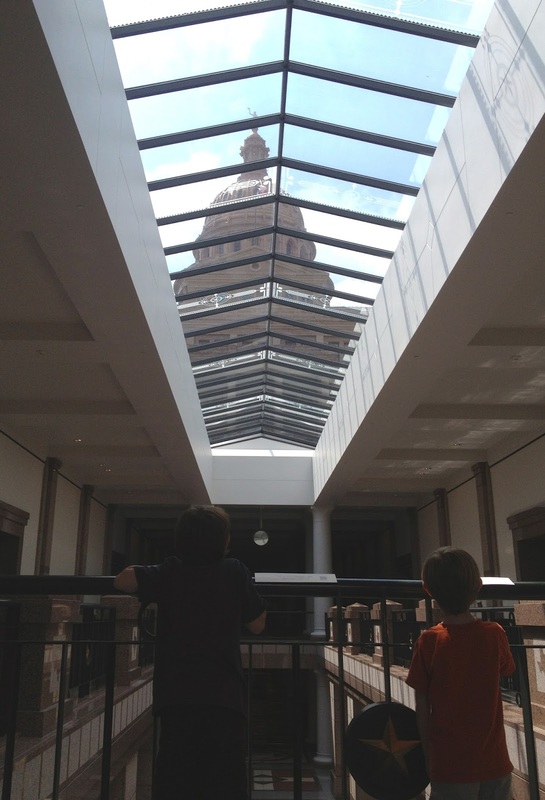 I have been to the Texas Capitol several times for events such as the Texas Book Festival and the Holiday Sing-Along, but I had never taken the time to go on a guided tour, especially not with my my three boys (ages 3, 5, and 7). I was unsure about their ability to stay attentive and quiet. I was unsure that there would be enough to interest kids. But boy, was I surprised by how much fun we all had! We arrived on Sunday at noon, and we noticed tourists bustling all around, a few girls dressed up in quinciniera gowns staging photo shoots, and tour guides promptly taking crowds around the Capitol interior. 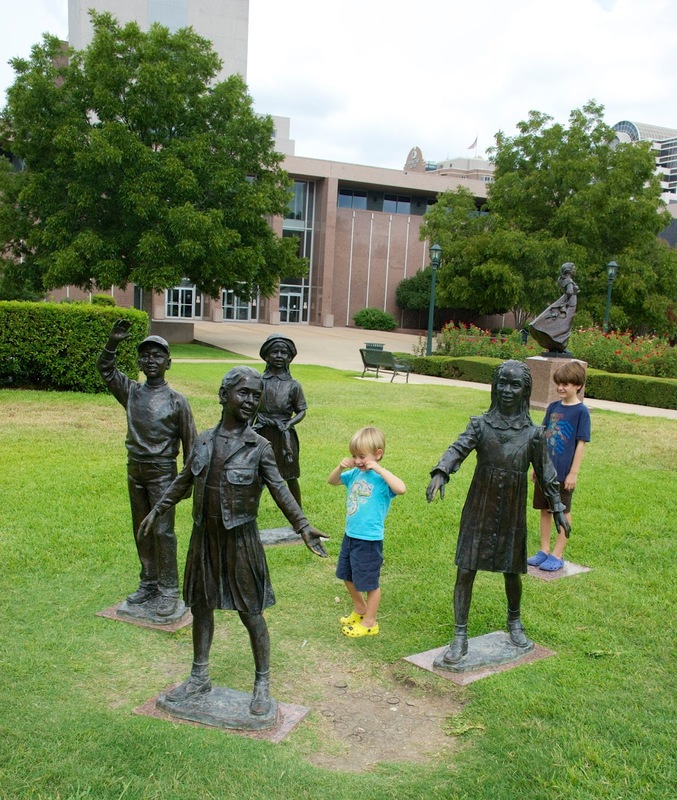 We jumped into the back of a tour that had already begun — thankful that there was no registration or tickets needed for the free tour. Our guide, Cat, was a pro. She was full of information and quick and concise with answers to questions. 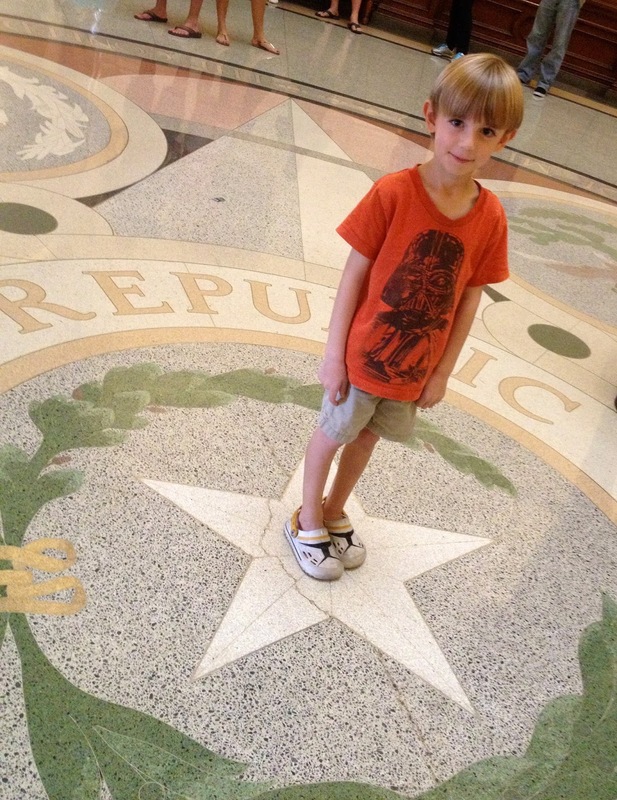 She noted that our red granite Capitol is the largest of all state capitols. 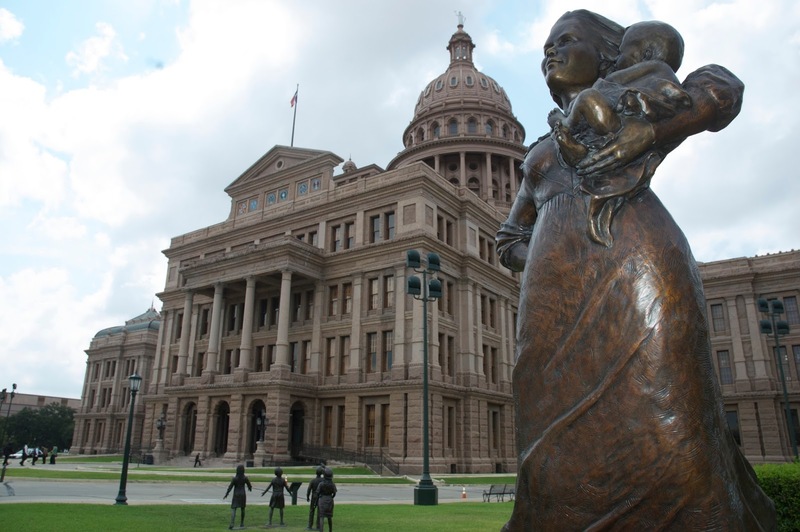 It’s “a symbol of the legendary spirit of Texas” and the place where Texans meet to enact laws for the state. She showed us the Sentate Chamber and the House Chamber. She gave notes on architecture and artwork featuring historic battles and portraits of important Texans such as Stephen F. Austin. 3. Go out the South Entrance and head to the southeast corner of the grounds to find the Capitol Visitors Center. 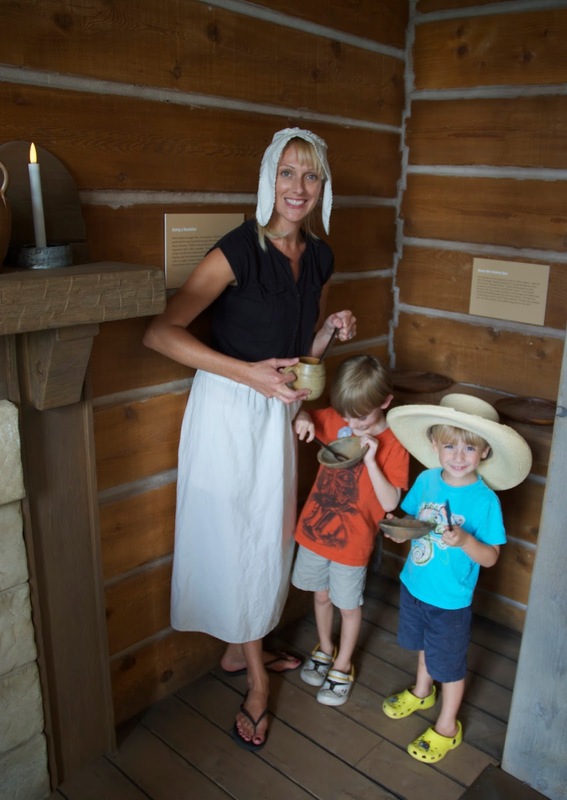 This castle-like building (the 1856 General Land Office Building) features interactive exhibits that are very kid-friendly. 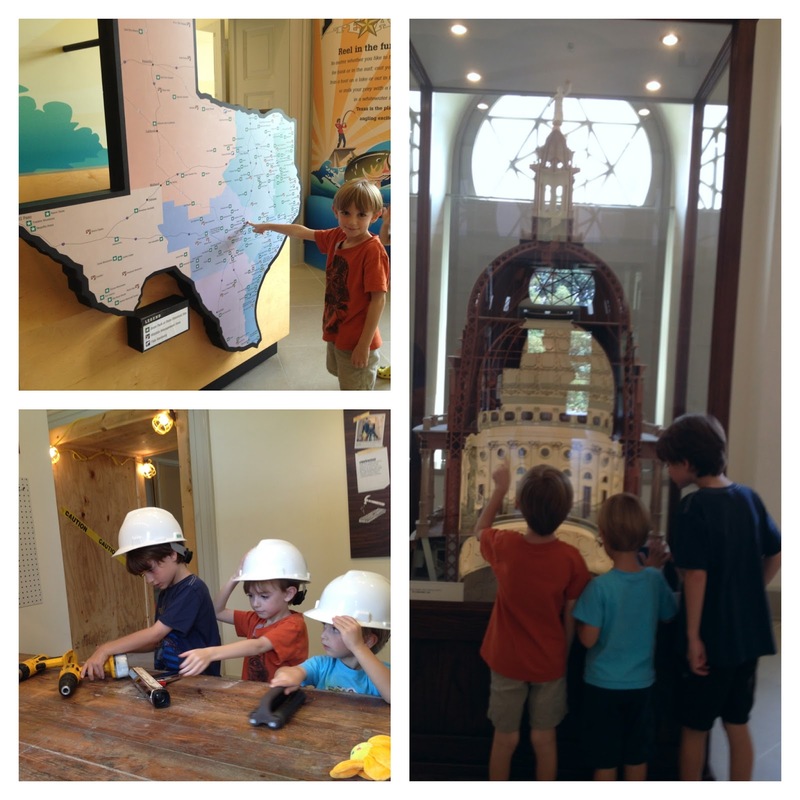 The boys got to learn about the Texas Capitol Preservation and Extension Project and understand a bit about how much maintenance is required on such a massive building from the 1800s as they tinkered with construction tools. 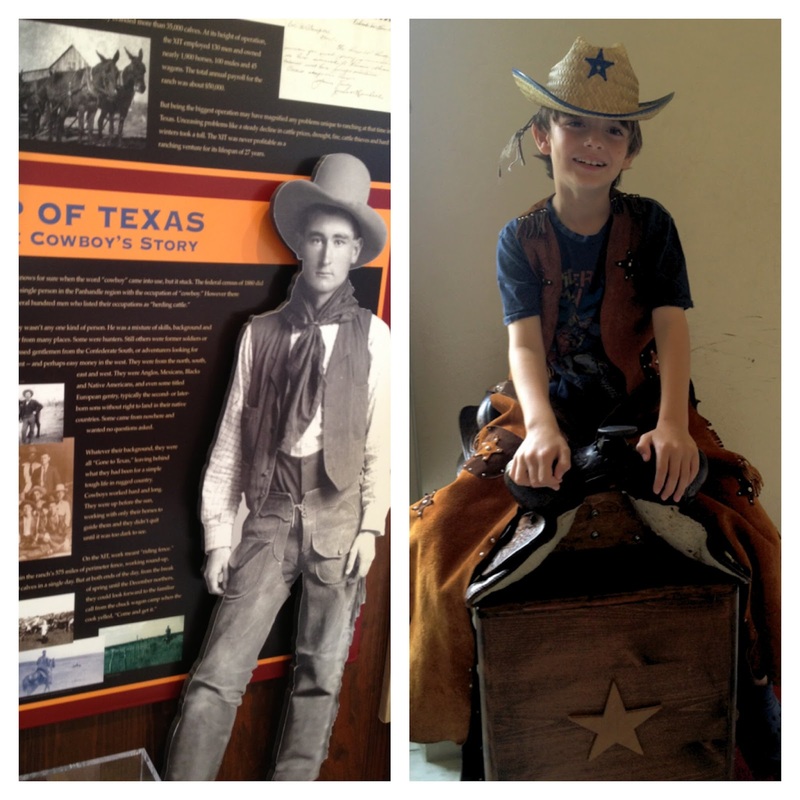 We all got a kick out of playing dress-up as Texas pioneers and Texas cowboys. 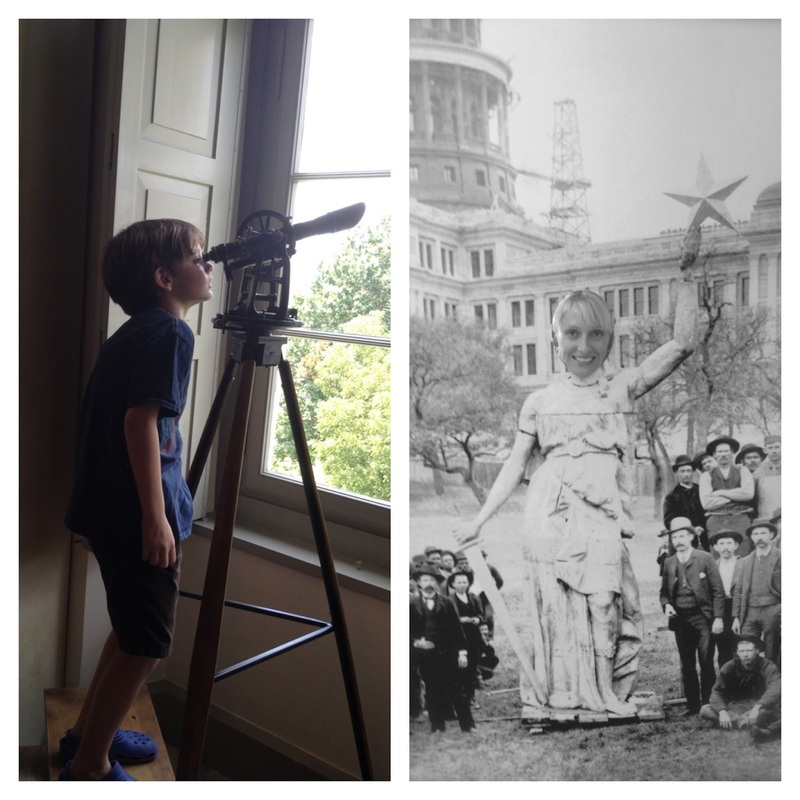 We loved viewing the star atop the Capitol through an antique telescope. And I personally couldn’t resist the photo op of posing as the Goddess of Liberty. Quite truthfully, there was so much to explore in the Capitol Visitors Center, we could have really just made a fun outing exploring that building alone. 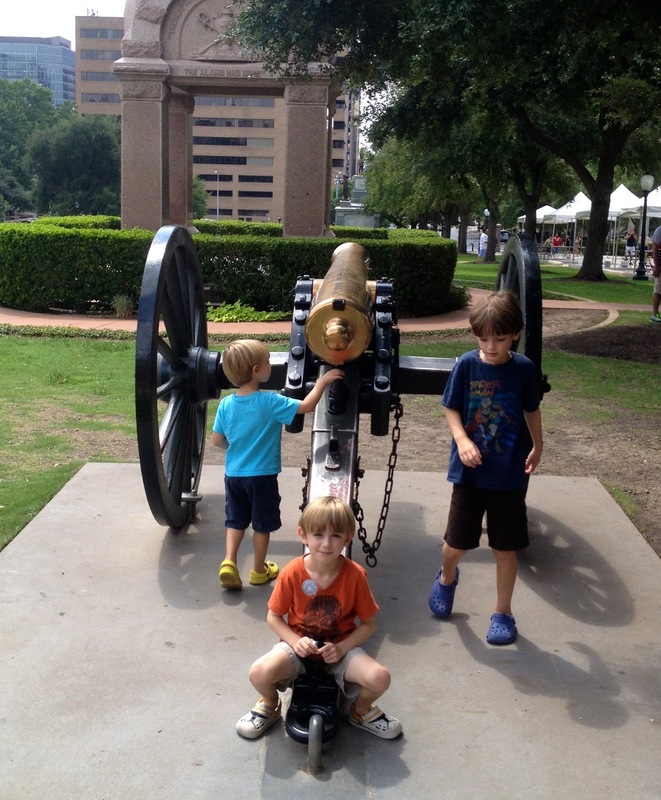 While our tour guide only commented on the three items listed above, I have to add a fourth pick of my own…. 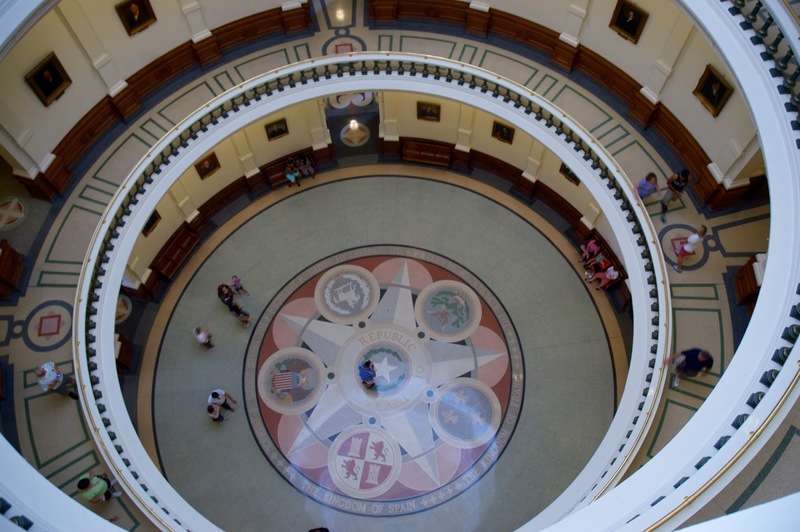 Hours are extended during legislative sessions. 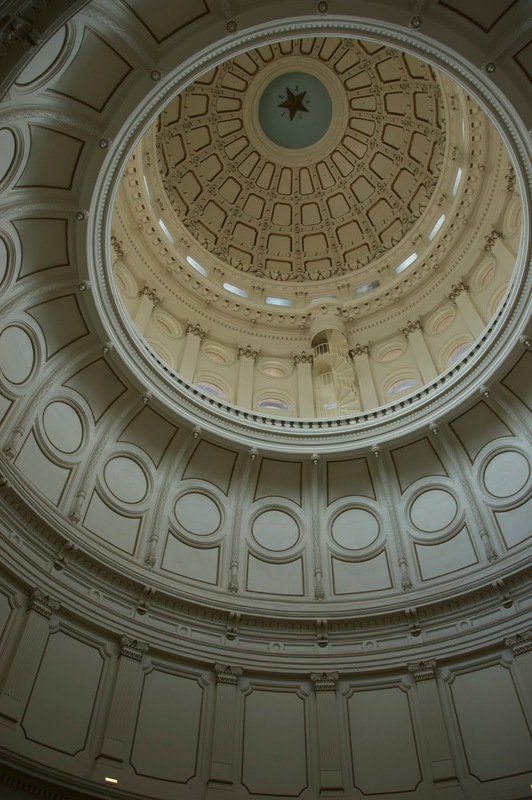 Free guided tours are provided by the Capitol Information and Guide Service.